Arrows Grand Prix International was founded by five men in 1978 when they all left the Shadow team to venture out on their own. Based in Milton Keynes initially, Arrows became known as Footwork for the 1991-1996 F1 seasons and ended up folding after the 2002 season. The A18 was the team’s 1997 car, the first year back under the “Arrows” name, but with new owner Tom Walkinshaw. The car was originally fitted with a Yamaha 3.0-liter V-10 engine. 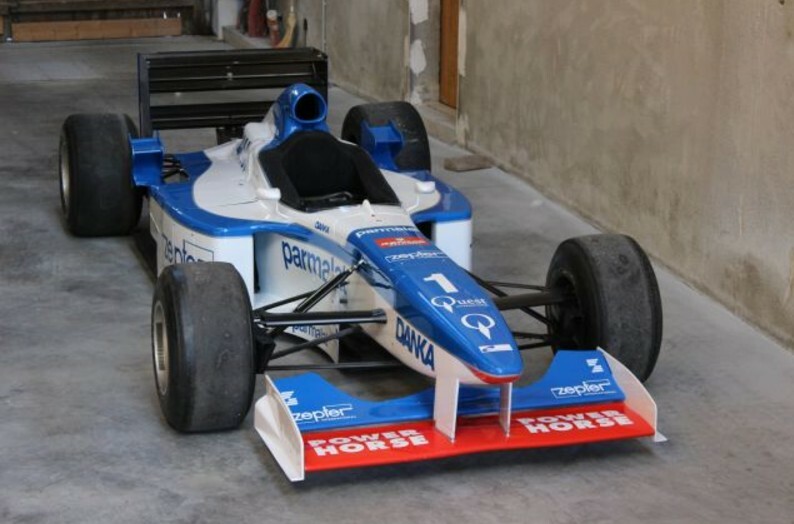 This chassis was driven by reigning F1 World Champion Damon Hill who was bizarrely dropped by his team after winning the championship. Exact results are unknown, but it definitely had some DNFs. The Yamaha engine was unreliable, but luckily the owner is supplying it with an Asiatech 3.0-liter V-10. Because Arrows no longer exists, there are quite a few of their chassis in private hands. This one should bring between $190,000-$225,000. Click here for more info and here for more from this sale. This entry was posted in Uncategorized and tagged 1997, a18, arrows, artcurial, asiatech, auctions, cars, race cars by classiccarweekly. Bookmark the permalink.